1. Main runway – using new technology to increase capacity in the near term offering incremental growth through more efficient operations. 2. Standby runway – potentially bringing Gatwick’s existing standby runway into routine use for departing flights, alongside its main runway, by the mid-2020s. This development would meet all international safety requirements and would be delivered without increasing the airport’s noise footprint and provide greater operational resilience. 3. 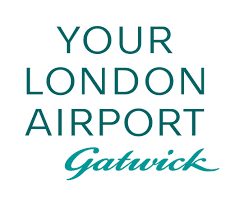 Additional runway – while not actively pursuing the option of building a new runway to the south of the airport – Gatwick believes it is in the national interest to continue to safeguard this land for the future. Gatwick’s development will help meet future aviation demand with sustainable growth and ensure strong connections between Britain and global markets. It will also provide new opportunities for the South East and continue to bolster the local economy for future generations. One month ago 75% of residents surveyed across Sussex, Surrey and Kent said that they supported Gatwick’s growth plans, with just 14% opposing. “Our draft master plan outlines some low-impact and highly innovative ways of unlocking new capacity from within our existing infrastructure. This will provide the UK with much needed new capacity, improve the airport’s resilience and generate new opportunities for the South East and its economy for generations to come.